The Phoenix- Atlanta rising from the ashes. Music City- Nashville always playing its tune. The Magic City, Birmingham the city which grew so fast it was if it appeared from nowhere. The Dragon- 318 curves in 11 miles, some of the best riding in the country. Southlands Full Throttle Magazine’s long distance poker run from Atlanta to Maryville became The Phoenix to the Dragon during its inception, The name came from a Chinese restaurant spotted in Ft. Lauderdale. Just in its second year though the event was expanded to include starting locations in Nashville and Birmingham. 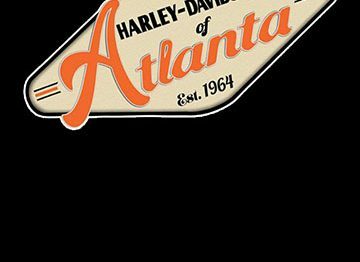 With an always busy ride schedule in Metro Atlanta (11 events that day) the starting location was relocated to Hellbender Harley-Davidson in Marietta. The Nashville leg kicked off at Bumpus H-D of Murfreesboro, with Indian of Birmingham getting riders started in Alabama. Riders were well represented from across the Southlands. The Phoenix leg gathered at Hellbender early with the last bike out at 10am. The dealership offered some great discount coupons for all the riders. The first stop was at Southern Devil H-D in Cartersville where riders were greeted with some free hotdogs and much need cold drinks. Then the group was off to Dalton and Mountain Creek H-D where again cold water was in much demand. And of course, the obligatory shopping for tee shirts for the H-D collectors. 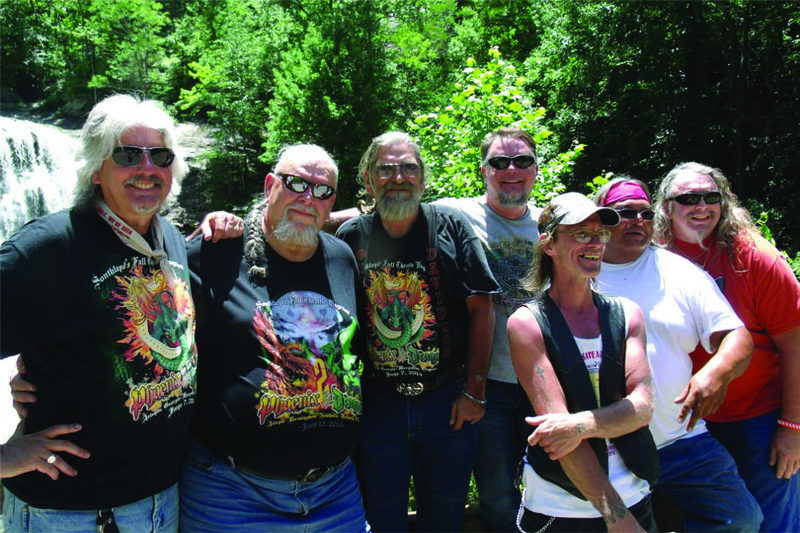 In Chattanooga, the Nashville and Birmingham riders merged in with the rest at Thunder Creek H-D. Those two groups had longer distance to cover so not as many stops were added. They were allowed to draw their additional cards at the last stop Smoky Mt H-D and The Shed. It was also at The Shed where the West Coast Poker rules twist was unveiled. Players knew there was going to be a twist but no one seemed to have figured it out. To the chagrin a few with really decent poker hands; the cards had been randomly assigned a points value from 1-52. Overall this throws out poker rules all together with total points being the ultimate goal. For example a two of diamonds was worth 34 points, where an Ace may have only been 5 points. It really simplifies the process of checking in a large group of players. 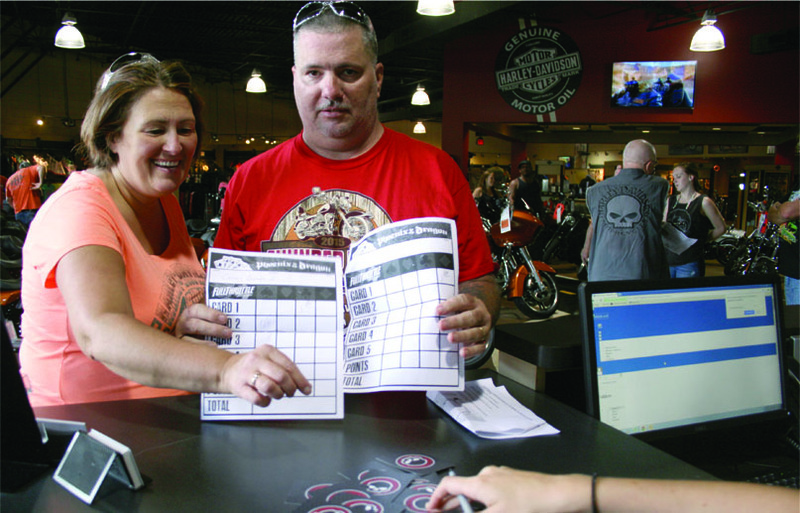 While supporting charities is a huge part of the motorcycle community, this is one event where after covering some expenses the money goes back to the players. Cathy Graffin had the highest total of 224 points and received the grand prize of $1000. Avery close 2nd place with 222 points was Jamie Womack who won $500. Ken “Fergie” Ferguson won $100 for 3rd with 211 points and $100 went to Paula Hennsey for the Worst Hand with a mere 60 points. 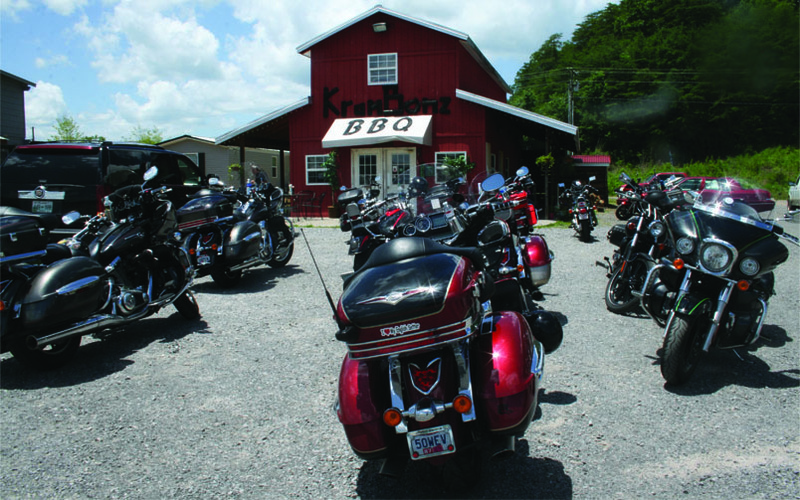 After checking in riders were treated to a BBQ lunch from the on-site restaurant, Stinkers BBQ, and by that time some much needed cold beers. The concert was really cool. It was, Start Me Up, a Rolling Stones tribute band. The lead singer really had the Jagger look and the moves. On Sunday several different groups took off to explore the incredible riding the area has to offer, each with their own agenda. Some wanted to hit the world famous Tail of the Dragon. 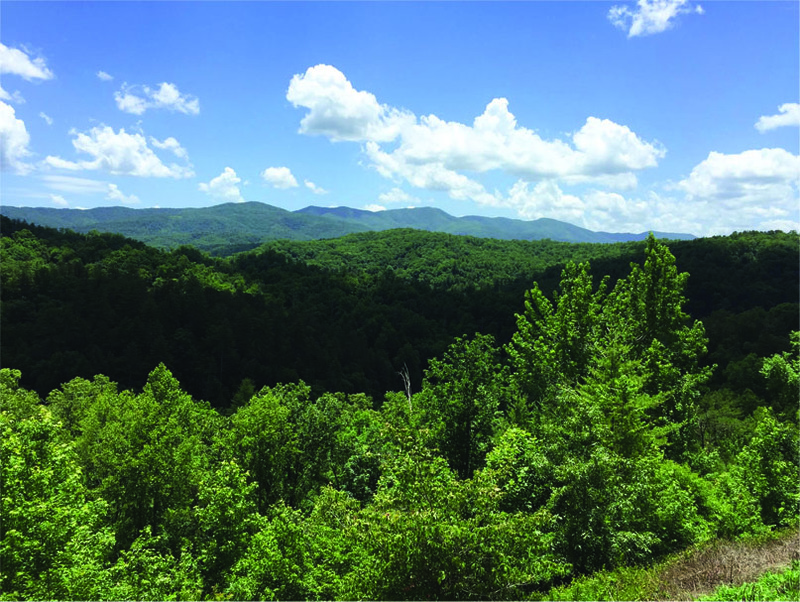 Some wanted to cruise the Cherohala Skyway or make a run to Gatlinburg. Regardless, everyone made it back home, though there were a couple of (uninjured) spills, and had a great time. There is already lots of conversation about Phoenix to the Dragon 3. Do we return to Maryville? So we pick a new location? Many have mentioned Nashville. Visit on Facebook at Phoenix to Dragon Poker Run, and give your feedback.